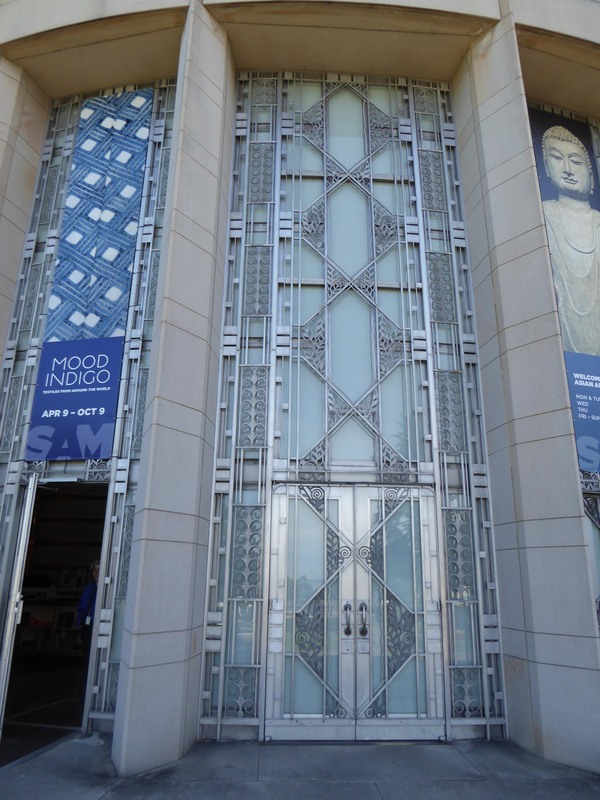 A group of students and I visited a Textile Exhibit titled Mood Indigo at the Asian Art Museum in Seattle Washington. The 1930’s Art Deco building is set within Volunteer Park. This building was made to impress even before seeing an exhibit. 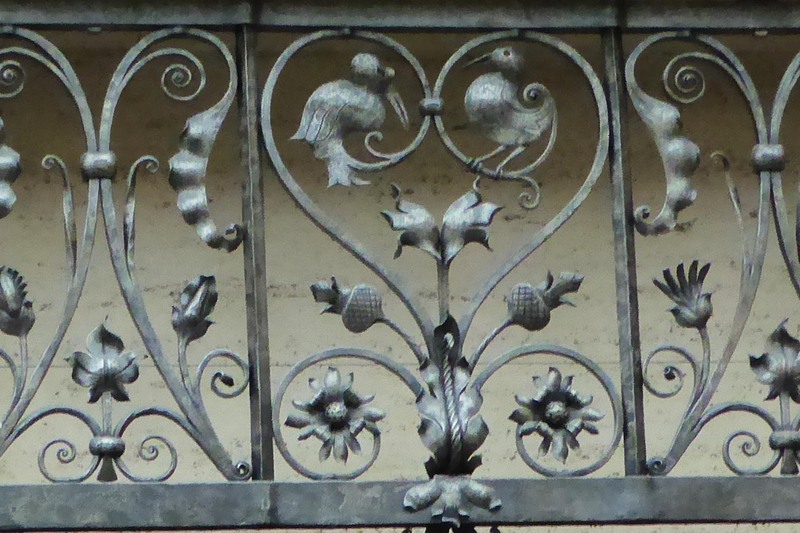 Compartments of glass and wrought iron work create a network of patterns across the entire entrance wall. 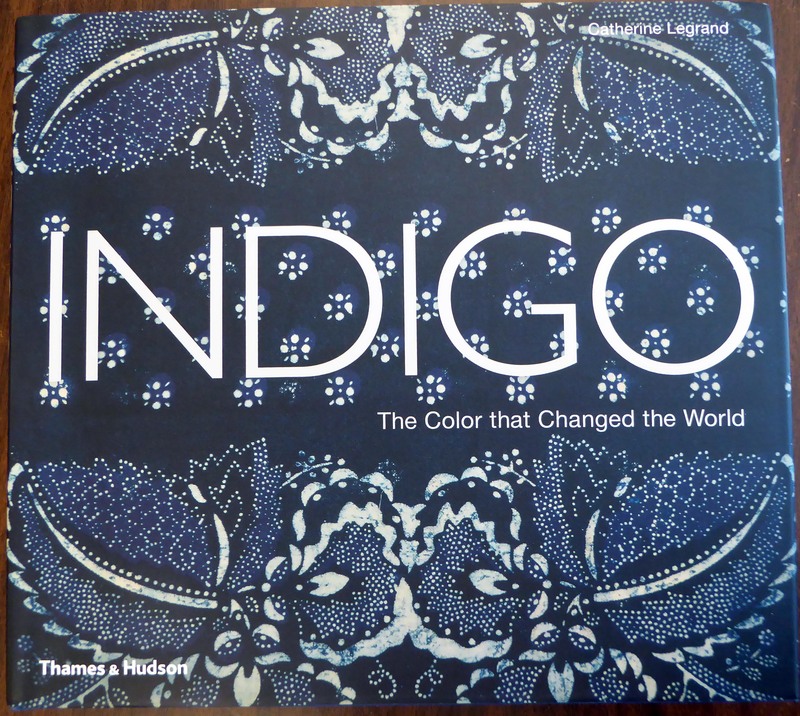 Not long after, our Docent meets us to welcome and introduce us to the Indigo exhibit. The group from our center is passionately interested in designed textiles, stitch, embroidery, dyes and paints. They are contemporary textile practitioners and have studied international historical textiles at our center. The remainder of the Galleries displayed blue textiles from across the world. Our docent regaled us with stories about the symbolism or the historical significance of the particular textiles that we were viewing. We got as close as possible to examine embroidery on a number of garments to identify stitches and techniques. 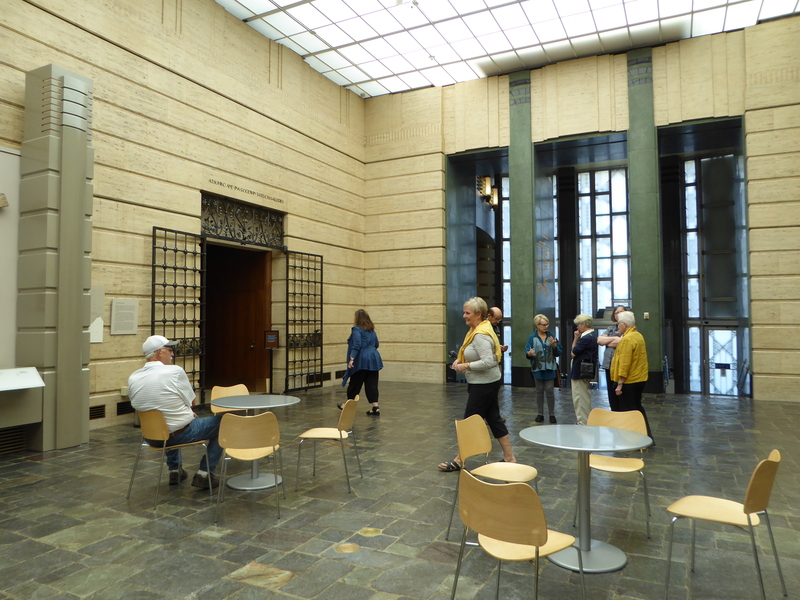 Some of us stayed longer to photograph ( that was allowed by the museum for personal study.) I am not able to show these copyrighted photos from the Museum. The exhibit is on until October. I hope you can make it. Here’s a great one from our library at the center. A photo from our 2 day workshop with Dana Webb at our Center. 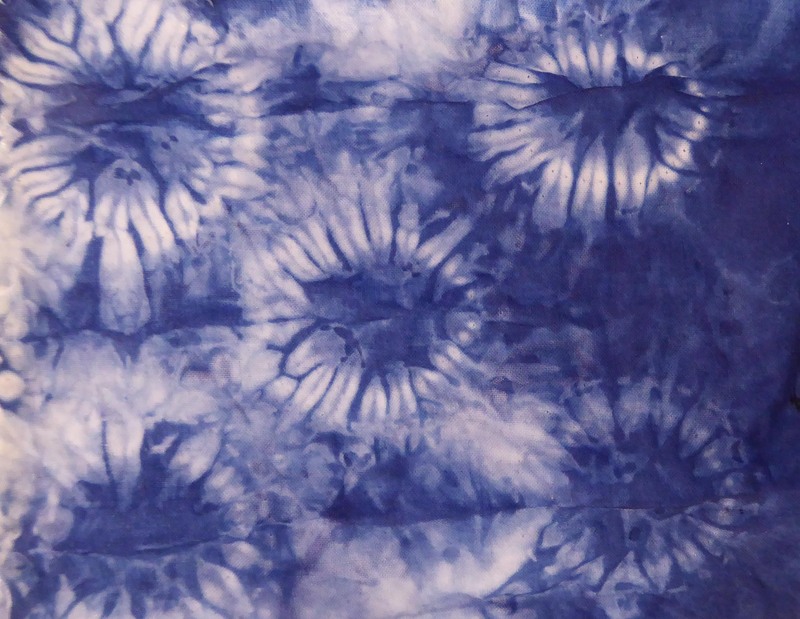 The next blog will show what terrific results students had with their Indigo dyes. 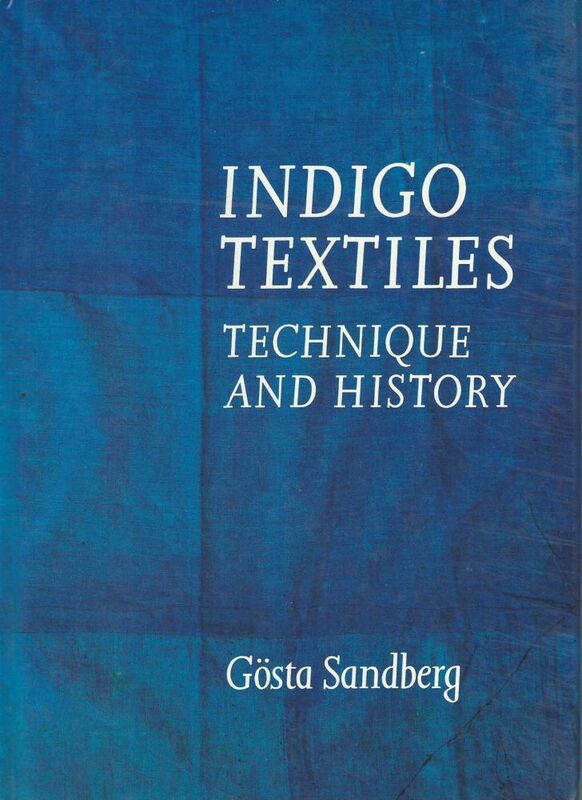 Indigo Dyed Textiles, Bhuj, Gujarat, India. 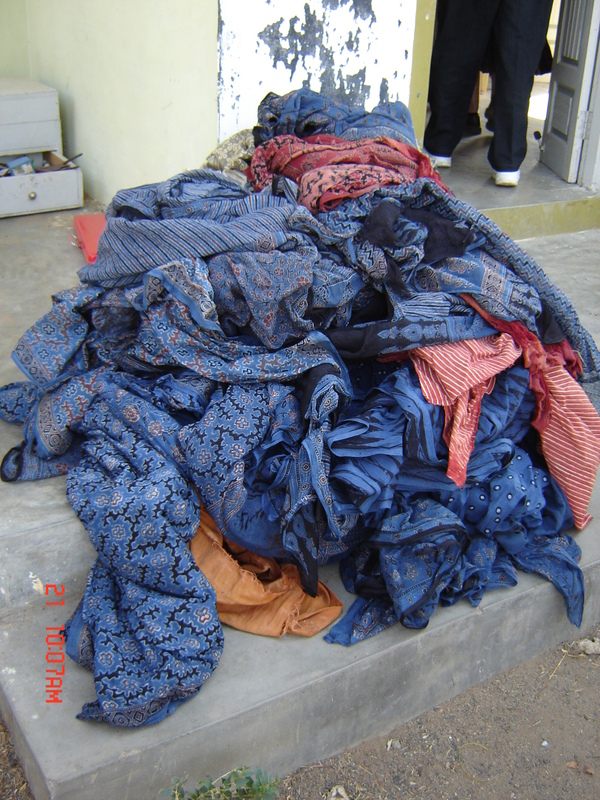 Pile of dyed Indigo textiles on an Indian doorstep waiting for a camel car to take them to market. Photo from Penny Peter’s 2007 trip to India. 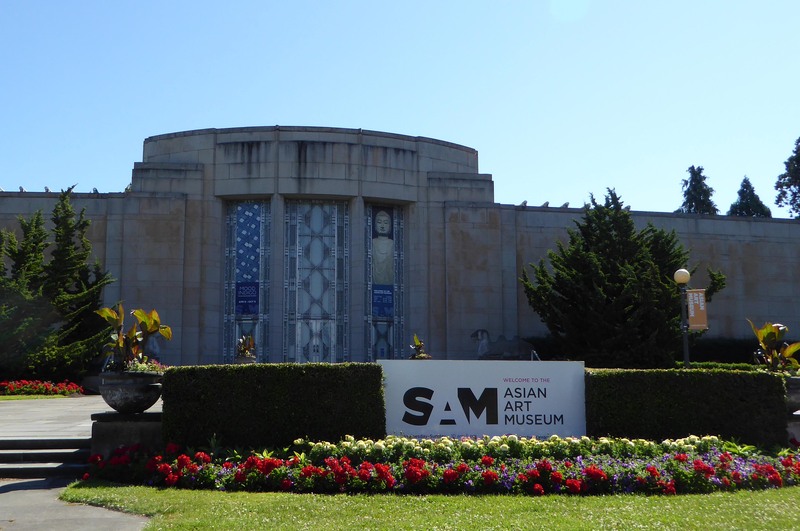 Read about and see her journey into S. E. Asia in our third blog. I wanted to go on this trip with you – really looking forward to the rest of your Blog.